TROPIC BROWN. SAMPLE PHOTOS, KITCHEN COUNTERTOPS VANITIES AND DESIGN IDEAS. Photo Details: Tropic Brown, Tropical Brown granite, full bullnose edge, stainless steel sink, 8×8 ceramic tile backsplash with chiseld edge, ceramic mosaic border, brown cabinets. Kitchen countertop with brown backsplash tile. 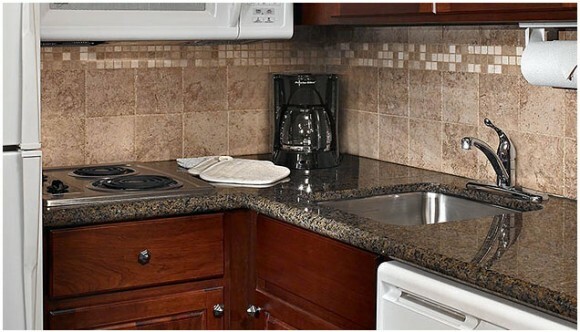 6×6 brown color kitchen backsplash tile.